So ​​you​ ​jumped​​ on ​​the ​​bandwagon ​​to hire​​ a​​ virtual​​ assistant​​ for​​ your ​​Amazon business.​​ Now​​ what? I love FreeeUp! In fact, I extensively use the VAs in their network to help with a bunch of different tasks ranging from graphics design to data entry to listing management. 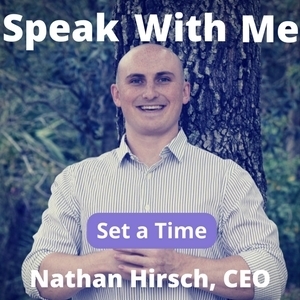 The idea of using a virtual assistant for your Amazon business is very attractive. It can liberate you from energy-draining, time consuming, low-value work and free you up for strategic planning, vision setting and creative activities that you’ve been dying to spend quality time on. In your heart, you’re already sold on the impact it can have on scaling your business. You take the plunge, join the bandwagon and wait for magic to happen. Not everyone is ready to quit their 9-5 job to spend the rest of their life on the beach (or mountains)! But a lot of people would be willing to outsource some part of their business or life to feel more productive and lead a better existence. In fact, Tim Ferriss’s updated 4-hour Work Week makes an attempt to include all those who want to hold on to their main gigs in life but still want to up their game. Everyone knows that there are both bright and dark sides to hiring a virtual assistant for your Amazon business. Not all tasks are equal. There is an art and science to picking what to outsource. Could someone please take these off my plate? Thank you. The sky’s the limit when it comes to what you can delegate and outsource, and I strongly recommend you explore the FreeeUp blog for ideas that suit your business needs. Start with small experiments, see what works and what doesn’t and take it from there. But do try to prioritize getting annoying tasks that drain your energy out of the way! While the advantages of using virtual assistants are many, it’s not always smooth sailing. Disconnects can happen and mistakes are made. You’ll soon realize how important it is to spend a bunch of quality time upfront identifying and isolating granular chunks of work to delegate, setting up processes, providing onboarding, setting clear expectations and giving detailed feedback. Remember, no one cares about your business as much as you do. Don’t assume that a VA will magically and intrinsically know what needs to be done. What’s obvious to you is not obvious to them. So spell it out. If you want more advice from people who care about your business almost as much as you do, you should also check out StartupBros. They are great at helping businesses sell more on Amazon, and they have a lot to share, like their new ultimate guide on how to sell on Amazon. A quick background: Efficient Era offers a suite of powerful tools for Amazon sellers. While we are a one-stop-shop for Alerts, Automation and Analytics software, our most popular tool is the buyer-reviewer matching tool. We can accurately find order IDs from reviews left on your listing. We also offer alerts for product reviews, seller feedback, bulk orders, listing changes and more. Here, I outline 4 powerful strategies that pair VA power with Efficient Era tools to get even more tasks off your plate. Let’s say a buyer leaves you a one-star review. You want to contact them right away to find out what went wrong and if you can do anything to make things right. How do you identify who left that review? Buyer identification based on nicknames and wish lists are unreliable techniques, and digging through your orders to identify a match is like looking for a needle in a haystack. Remember, speed is of essence here. Efficient Era’s Buyer Reviewer matching tool takes on the burden of digging through all your orders data to accurately and automatically match product reviews (from verified purchases) to orders IDs. You can set up our system so that email alerts for negative reviews go straight to the VA. But wait, it gets even better… every one of our alert emails contain links to both the review on Amazon as well as the Order ID page on Seller Central. So the VA can quickly confirm the contextual reference of the review, go to the order details page and compose a response to the buyer offering support and help. Can you see how powerful that is?! It’s great when someone goes back and revises their product review rating from 1 to 5. But what happens when they go the other way? Ugh! Unless you are constantly checking for changes you will never know! Luckily, Efficient Era is tracking that for you. We give you a “review change” list along with marketplace email IDs so you can have the VA probe why someone revised their rating and if you can do something to help them. If you are a private label brand and brand registered you will probably be shocked to see Amazon Warehouse Deals or Amazon Retail steal the Buy Box, and quietly replace your listings with some shoddy images, poor titles and incomplete descriptions. Since Amazon always has a higher contribution on listing changes, you will be outranked. The only way you can get these changes is by following up with Seller Support through individual tickets for each change. That would be an unfortunate and necessary task, but this is one you would rather outsource to the VA. Efficient Era’s listing hijack alerts can be sent straight to the VA’s inbox so they can quickly act on changes and get your details page back on track as soon as possible. Yes, there is an alert for that! Efficient Era’s bulk order alert lets you know when someone places an order larger than a certain threshold that you can set (e.g. 10 items). You probably want to treat your bulk order clients with great respect and appreciation. They are likely to be businesses that come back as repeat customers. Our bulk order notifications help you reach out these customers with your best treatment. Again, set it up so the alert goes straight to the VA. 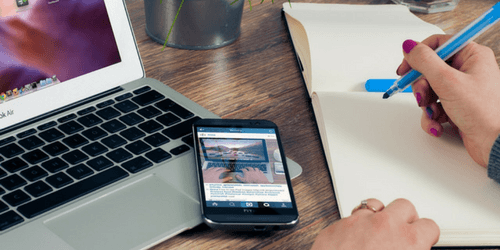 Hiring a Virtual Assistant for your Amazon business is an exciting step that can help you scale and take advantage of Amazon’s explosive growth within budget. It can also save you some unnecessary grey hairs and let you focus on important tasks that energize and keep your business growing. Boosting outsourcing with automation is like… feeding Popeye with a truckload of spinach. You get the idea. Good luck selling! This article was contributed by Ritu Java, who spearheads Marketing and Business Intelligence efforts at Efficient Era. An entrepreneur at heart, she enjoys working in a variety of challenging roles. Her latest passion is building a group of skilled VAs who can collaborate across different time zones, help her maximize her potential, and achieve exponential growth for Efficient Era. 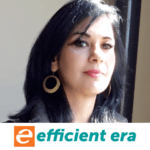 Efficient Era offers Powerful Tools for Amazon sellers. Alerts, Analytics and Automation software helps sellers build and protect their brand on Amazon with a closer look at their day-to-day operations while leaving with more time to focus on the big picture. Making the transition over to working for yourself versus the 9-5 grind is really scary. Turning over responsibility has not been one of my strong suits either, so thanks for this encouragement!